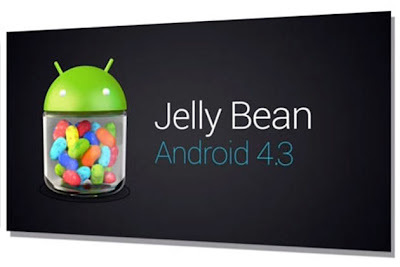 Google has finally released Android 4.3 Jelly Bean, the latest major revision for the android operating system. Coming pre-installed on the new Nexus 7, Android 4.3 will bring many new features. the 4.3 version is a maintenance update,the more significant "Key lime Pie" version is expected to arrive early next year. ability to control access to apps at the profile level. Restricted profiles can be used for parental controls, limiting access to apps. android will now support the Bluetooth Smart / LE (low energy), the latest standard for connecting to devices such as smart watches or vitality sensors. Bluetooth LE allows the device to stay connected to these wireless peripherals using negligible amounts of power, while still providing fast and reliable connectivity. Android 4.3 brings support for OpenGL ES 3.0, DRM APIs for providing hardware-based encryption for protecting content. The Notification bar has been a popular feature on Android and with Android 4.3, you can control and interact with the status bar notifications. This would allow users to control how notifications are pushed to the primary and connected devices(smart watches, fitness bands). Users will also be able to see all the notifications at one place. Better location accuracy of Android devices by allowing location scanning via Wi-Fi. It now allows apps to get location data through Wi-Fi even when Wi-Fi is set to off and not being used for data access. Google also unveiled a new app for Google Play Games. It isn’t specific to Android 4.3, You can find the app in the Google Play Store starting today for android 2.3.6 and above. Android 4.3 also offers a new updated Camera app that features a new arch based menu which makes it easier to control and switch camera settings. There is no major change in the User Interface which is little disappointing, Android 4.3 will be on the new Nexus 7, which was just announced, out of the box, and will also be coming to all the latest Nexus devices starting today.